We are receivers and transmitters of energy, and energy is our primary language of communicating...any of us end up juggling a dizzying array of stresses throughout the day. We have been taught to just “buck up” and take it, as if that’s just how life is… Stressful. But do you have to live as a circus performer, trying to juggle all of the many aspects of life? Is there a way to get through life without performing a crazy balancing act? This is especially important for highly sensitive people! Energetic pollution abounds... all thoughts, emotions and feelings contribute to our health and wellness. We are all psychic/intuitive beings, living in a world that creates sensory overload, so we must get back to the basics. It is important for us to learn how our energetic system and field works so we can support ourselves to not take on the "stuff" of others. When we discover how to create a healthy inner atmosphere and energy field, then we will feel comfortable to finally claim our space in the World and live out our purpose, create prosperity and real loving relationships. Keep your environment from influencing your emotional/physical state of being? Not take on other people’s energy? Perceived stress in your environment triggers an emotional response in the body. Stressful emotions held in the body may show up as fatigue, exhaustion, and nervous tension. Many of us end up juggling a dizzy array of stresses throughout the day. We have been tough tot just "buck up" and take it, as if that's just how life is... Stressful. But do you have to live as a circus performer, trying to juggle all of the many aspects of life? Is there a way to get through life without performing a crazy balancing act? This is especially important for highly sensitive people! Whether you want to overcome worry and anxiety, achieve grater degrees of healing, break free from inhibiting behaviors that are keeping you trapped, or bring more Peace and Happiness into your life, Lighting up the Edges of your Boundaries gives you the tools you need to conquer the inevitable stresses of life with determination, grace, and ease. Ultimately, you are sure to be inspired and empowered with a variety of techniques to apply to your everyday life for years to come. Our bodies are trained from the beginning to stuff, restrict and withhold. We are taught to keep quite, not experience the moment too deeply or make our feelings known to others. We learn that it isn’t safe in the World, therefore we need to take a stance of protection, control and survival. It is important for us to make this shift to reclaiming our Power and retraining our energetic system to resonate with Truth... Let us live as our Highest Self. and survival. We have a boundaries system already in place and depending on our personal history with people, situations and events, this system can be healthy or in need of some attention and repairing. We call our natural boundaries system our aura. It is a field of energy that makes up our personal territory. Our aura is both an information center and a highly sensitive perceptual field. When our boundaries are weak, unguarded, or unclear, we let in all sorts of “stuff” that isn’t actually our stuff, and we give away our own personal energy unconsciously. and survival. When discussing boundaries and creating a healthy sense of self, it is important to include the energetic systems. We do this because they are responsible for how energy as information enters our physical bodies and is translated into our social experience, and reality… Emotionally, Spiritually, and Financially. Shifting from your human senses based on survival, to your psychic senses based on Intuitive perception and Unity consciousness, will lead you to healthier boundaries by avoiding the energetic enmeshments with energies that no longer match you. The psychic senses function at a higher level upon clearing all of the lower functioning mentalities, divisive patterns and prejudices. Sourcing Light and running it through your body as a Whole being, will allow you to powerfully beam and glow. When you are Whole, light is flowing and shining without hesitation, it is consistent and strong. You will find inner harmony by relieving your body of the maternal and paternal limitations that have been passed down from your ancestry as we extract the energy of your parents, grandparents and great-grandparents. - Learn about Your Radiant Energy Bodies that make up the 7 layers of your Aura, what each body is for and how to heal and repair the rips, tears, holes and bulges that may be effecting your physical body in a negative way. - Learn about Your Radiant Energy Centers (chakras) that take in the Universal life force energy. Are yours clogged up with residue and not allowing you to gleen all the wonder from life, heal your body and radiate confidence? Which Persona is the one who can’t say “No”? Which Persona is the one who attracts energetic vampires? Which Persona is the one who doesn’t know how to set up boundaries in relationships? There is so much included in this E-course! When you purchase this course, you also get ALL the below BONUS programs! A 1 hour private Soul Integration Session with Academy for the Soul, Master Teacher, Angie Higle, C.Ht. Angie Is an Intuitive Strategist that specializes in facilitating rapid shifts in thought patterns and limiting beliefs. She is known for inspiring that "oh ha" moment that changes your perception in an instant, shifting you from a low vibrational energy to a higher energy of love, peace and joy. Propelled by her love for self-growth, it is her mission to facilitate others in their journey and share her tools and resources so that they too can live an inspired and passionate life. With over 12 years of training Angie is a Certified Hypnotherapist, a Master Practitioner in NLP, a Practitioner of Time Line Therapy'" through Advanced Neuro Dynamics and an Academy for the Soul, Intuitive Strategist graduate specializing in soul integrations of personas using the Integrative Soul Technology Process. Angie has also studied courses in Eliminating Interference Patterns of DNA, Holographic Healing of Ancestral DNA, and Rapid Healing from Possibilities Vocational School and most recently the Advanced Self Love Mastery Course from Rikka Zimmerman. She wants to show you how to shift your perspective, remove the blocks holding you back, make your inner light brighter, and start living in the essence of love, peace and joy. Do you sometimes feel like your Emotional Security System has been compromised? Do you have a hard time staying positive around negative people? Do you live or work with “downers” you know those people who seem to drain the energy right out of the room, otherwise known as…energetic Vampires? If you feel overly sensitive at times, have headaches, body aches or simply feel drained, then The Emotional Security System is for you. It’s just too easy to let your guard down and become a dumping ground for others… especially if you have a “giving” spirit. I know, I am naturally empathetic to the pain of others and seem to listen a bit more, tune in too deeply and feel other’s pain and struggle. How do you stop giving your energy away? What are some techniques to use for staying out of overwhelm, doubt and fear? How can you stop being overly emotional, sensitive or empathic? There is a fine line between setting up a boundary and setting up a defense mechanism that blocks out others. With this system you will create a Powerful and Healthy boundary that lights you up, keeps you secure and protected without turning others off, scaring them away or feeling too harsh. It is a Natural state for us to be embodied in strength and truth, but one that most people have never been introduced to, one that reflects back to another their personal emotional state without needing to carry the load for them. No more enabling others! No more codependency! And No more suffering! Learn the 5 steps to creating a Stable Emotional Security System and STOP taking on others “stuff”. Discover how to create healthy psychic and physical boundaries and hold them when in turmoil, under stress or influence of others. Set yourself free from past karmic ties, so you can claim your personal place in the World and live with Passion and on Purpose. Powerfully claim a sacred space within, without shutting down or shutting others out. Create a fulfilling life of positivity, even with all the turmoil that is going on in the World. Instantly Accessible Online/Downloadable comprised of one to one guidance in mastering your Emotional Energy and Personal Boundaries. Defining Boundaries: Construct a healthy boundary around your body… mapping out your territory, a visceral manifestation of your personal space so there is no more Energetic Trespassing! Cord Cutting: Get clear of the Emotional and Energetic Entanglements that have you bound up in Fear, Sadness, Overwhelm and Anxiety. Conscious Deflection:No longer take on negative projections, judgments or unconscious, insecure tendencies of others like jealously or envy. Vortex Vacuum: The ultimate experience in releasing all the residue that has accumulated in your energy field… You are Not a dumping ground for discordant emotions or thought forms. Let it Go! Sourcing Light: Let your body, mind, and feelings be rejuvenated. Experience a resource of boundless energy, lighting you up, and leaving you Strong, Powerful and Radiant! In the System, I personally take you through each of the exercises via Video Coaching as well as give you a Downloadable E-Guidebook that lays out the steps one – by – one. No more messing around! It’s time for all of us to know exactly where others end and where we Begin. It’s time for all of us to feel safe and secure wherever we go and live Fully expressed. It’s time for us to light up the edges of our Boundaries and live in Freedom… Boundless! Important: This is my no frills or fluff, to the point, condensed how-to process. Everything you need to transform yourself quickly and easily. It has all you need to Master your Energy and Master your State. Are you tired of Procrastinating, feeling out of Control and going into Fight/Flight? Are you in need of a Tool kit that can energetically launch you from 0 to 60 in seconds? What if you could finally learn how to master your energy so that you could powerfully shift out of any debilitating state of mind? We all know that your physical condition has been scientifically linked to your mentality… If you don’t have the tools to shift your mental State of Being then you are hindered in your capacity to live fully. Are they opportunities or challenges, experiences of victimhood or growth? This continuous process of choosing our Perspective occurs on all levels consciously or unconsciously… And not just physically, emotionally but at the very foundation of all life. Spiritually. It is at this foundational level, the Superconscious, Vibrational level that all shifts are born. With the Energetic Management System you take charge of your experience of reality through vibrational alignment. In other words, what’s unfolding with the quality of your health, are tangible results you may use to assess the integrity of your vibrational state. Without judgment, you take action by utilizing your tools to create your personal experience. Self-reflection simply becomes a touchstone to evaluate where you are on your journey.The moment you realign with your original vibrational pulse, you come back into integrity with yourself… then every aspect of your life profoundly improves and harmony is restored in your body. Energetic Management System E-GuideBook Supports you on your path of reclaiming vital life force energy and enlivening your reality so that you are capable of manifesting and living with Health and Happiness. Stop procrastination and overwhelm by learning how to stabilize your system daily. Learn how to gain inner vision to access the portals of your energetic system and open to receive. Take charge of your emotional state and learn how to release the overwhelm, confusion and frustration that blocks your Peace performance. Start to live life your way by clarifying and choosing your emotional status at any given moment. Discover your inner projector and and start playing empowering movies on your mind screen. Energetic Management System 6- part Instructional Video Series: Instantly Accessible Online/Downloadable comprised of personal guidance in mastering your Energy and Perspective. How to stay strongly committed and focused on achieving your goals, despite life happenings that can side-swipe you. How to thoroughly scan your body for discovering and locating, trapped energy that promotes illness & disease. How isolate the trapped emotions that hinder your health and clear them out of your system for release and transmutation. How to reclaim your power through transmuting and replacing the old emotional baggage into transformational vital life force energy. This will allow you to use your reclaimed energy for fulfilling your goals. Learn the process of identifying, shifting and eliminating the images you store in your subconscious mind. Shift into creator mode and artistically design your own inner images as inspirational movies connected to your Superconscious Mind. Learn the processes that I teach my high profile executives and celebrities. These are the tricks of the trade that I use as a Spiritual Trainer… If you have ever wondered how the V.I.P’s looks so good and keep up their energy as they travel the World, then you will want to be on this call. I will go through each of the techniques in Your Transformational Tool Kit and explain in detail why and how they work. It’s important to not just read or watch the information discussed in the Energetic Management System, but to actually anchor the techniques in your Body, Mind and Reality. What are your emotions telling you to do… emotions have a language all their own and when you understand it you can be emotionally guided and informed to take specific actions. This all leads to greater levels of clarity, emotional freedom and security with yourself. I’m here to support you in your journey of transformation and illumination. If you are seeking growth and clarity for your Spiritual awakening or a modality to support yourself along your path to purpose, love and greater fulfillment, then this is the space for you. Thank you for being conscious to take the next step. Christel Hughes is a Multi-Sensory Energetic Intuitive, Medium and Holistic Life coach, known by many as the "Spiritual Trainer to the Stars", specializing in self-development, energetic healing and rapid transformation for celebrities and individuals throughout the World. Most people know Christel for her lightening-fast and laser-focused Intuitive readings. Christel's work has broadened to include multiple programs and pathways to Higher Consciousness and Energetic Transformation. 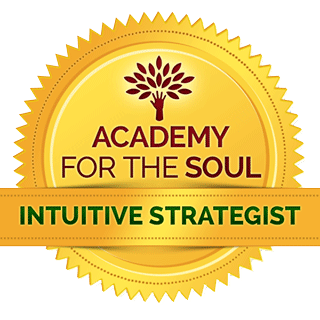 The Academy for the Soul was born through Christel Hughes, as the 'Online School for Intuitive Arts'. Christel's purpose is to bring and shine light into the world, and to operate as a conduit of Divine Truth, working with people as they identify and develop their gifts, and step into their purpose-work. The Academy for the Soul helps people discover and develop their Intuitive Gifts, and then share those gifts with the world as an offering. REFUND POLICY: His Every Action appreciates and values all our listeners and speakers. As a show of our appreciation, we are happy to offer a 30-day Money Back Guarantee to our valued customers to better help them discover if a product will work for them. However, as a way to help show our speakers how much we treasure their knowledge and hard work, a refund can only be offered on one package per customer in a 90-day period. Multiple refunds requested by the same customer within 90 days will not be accepted. Should we notice a pattern of excessive purchases and returns, we reserve the right to remove such person(s) from our mailing list, block future purchases, and/or deny future refunds. Should the speaker's offer involve a personal session, the guarantee will be voided in the event that the session has been used. Should the speaker's offer include digital content, the guarantee will be voided and no refund granted if more than 30% of tracks, audios, videos, or PDFs have been downloaded. Please note, refunds are not available after any private or personal sessions have taken place. We rely on your integrity as a His Every Action listener to honor each speaker's digital assets. Additionally, all requests for refunds should be submitted within the 30-day guarantee period. We appreciate and thank all our listeners for understanding and respecting this guarantee. CONSUMER NOTICE: You should assume that Academy for the Soul has an affiliate relationship and/or another material connection to the providers of goods and services mentioned on this page and may be compensated when you purchase from a provider. You should always perform due diligence before buying goods or services from anyone via the Internet or offline. REFUND POLICY: We believe in Energy Exchange, and want you to find the program that offers your the energetic value you were expecting. If the program is not what you were expecting, we invite you to contact us within 30 days of your original purchase for a refund. Please note, refunds are not available after any private or personal sessions have taken place. To honor our guest speakers, only one refund is allowed in a 90 day period. Thank you for your understanding.